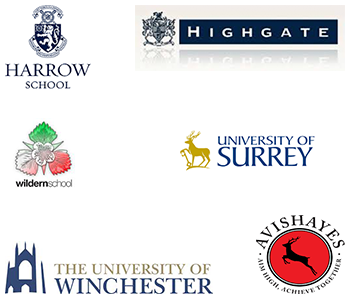 Slip Accidents in Schools & Colleges - Where do your priorities lie ? Potential slip hazards are simply not rare in Schools, Colleges or Universities just because of the sheer volume of foot traffic. The priority, therefore, must be to ensure that all walking areas such as stairs, steps, walkways and ramps are safe to walk upon, BUT as an educational establishment is that really important ? You could wait until someone is injured, otrjust ignore the hazard hoping it won't happen again. Look, we can offer trusted slip resistant solutions which have guaranteed proven results every time. We offer inexpensive retro-fit grade Anti-Slip Solutions to steps, Stairwells, Walkways and anywhere someone walks to make your premises totally safe and giving you peace of mind. The real fact is that if you remove the slip risk you remove the liability ! We can produce a " fit over all types of surfaces" from wood, metal, concrete, open grids, stone, tarmac and granite. Whatever size we can sort it. Slips, Trips and Falls are the most common cause of major injuries in schools, including members of the public who also suffer the effects of inadequate controls on slip and trip hazards. You could be responsible for a hazard that is simple and easy to prevent, but all too often they are overlooked. They don't need to be, they can be slip risk free and the cost is cheaper than you think. Specifically designed as a long lasting and hard-wearing solution, our heavy duty anti-slip tread covers and sheeting is ideal for high footfall areas on stairs and corridors. Available in a range of colours, these products can be jet washed, steam cleaned or scrubbed. In dry environments they can be wire brushed or steam vacuum cleaned. Above all, periodic cleaning is the only maintenance required. 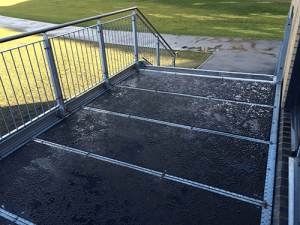 Suitable for both internal and external premises, our Heavy Duty anti-slip flooring is perfect for both medium and heavy foot traffic in the most hazardous weather. 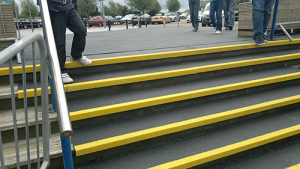 Our anti-slip flooring offers an effective solution to steps and walkways. It is manufactured from a glass reinforced plastic, with a composite non-corrosive anti-slip surface. It can be screwed, bolted or bonded onto almost anything. We wanted a total refurbishment of our changing rooms and shower areas and Gripclad scored first class from start to finish. There were no delays, no stress, well executed and a job well done.